1973-1993: board member & deputy MD. Sati Int’l Transport Co.
1993-1997: board member & MD. Pars Tarabar Int’l Transport Co.
1997-2002: board member & MD. 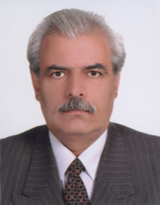 Payane Tarabar Tehran Int’l Transport Co.
2002-2006: board advisor , Caspian Int’l Transport Co.
2007-2008: board member & Managing Director, Astara Transit Int’l Transport Co.
2008- … : Sati Int’l Transport Co.